The Blue2 studio is a converted former church in Broughty Ferry, just outside of Dundee. Flooded with beautiful east coast light, the space is shared with Avian, our sister company. They specialise in branding, design and marketing and we often work together on projects to provide the full range of creative services. Together, we employ around 25 staff (15 digital specialists). 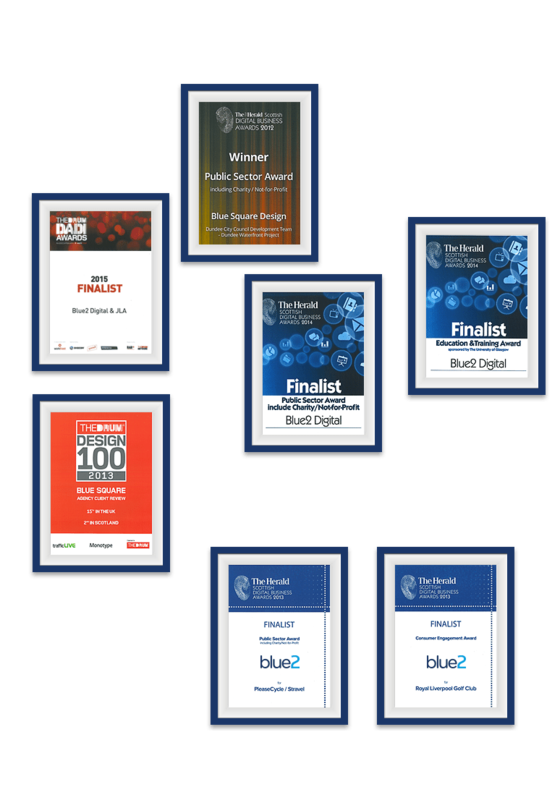 At Blue2 we have a digital design and development team and a digital marketing team. This means that we can provide complete solutions for clients – from the initial design of a website, app or system, to build and through to its marketing and promotion. As a team, we like to think we’re a pretty fun bunch. We can’t deny we like to eat – our working week centres around Cake Thursday and Pizza Friday – but we do make sure there’s always lots of fresh fruit around to make up for it! At Blue2 everything is centered around the customer. We aim to provide the very best service and at the same time create the very best websites and digital solutions for them. But you don’t just have to take our word for it. As well as being scrutinised internally by our QA team, our work stands alongside some of the UK’s best and largest digital agencies. 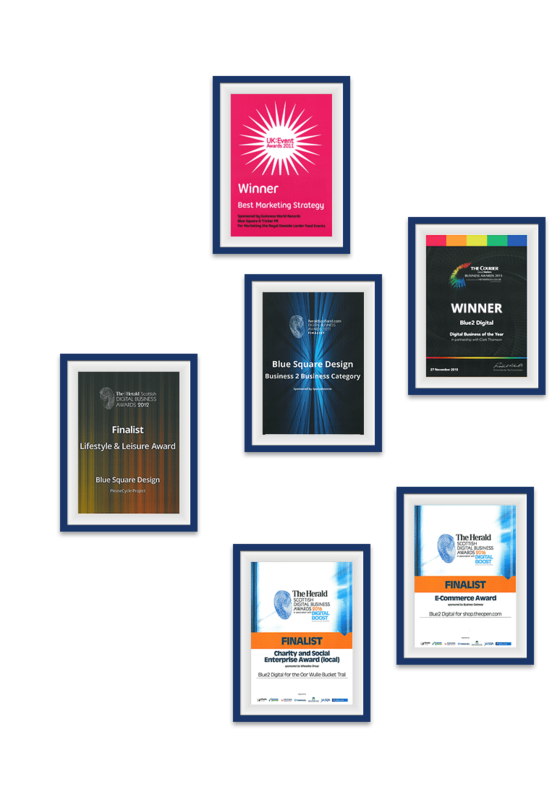 We have been a RAR recommended agency since 2010 and have been nominated for 12 national awards, winning three and being commended in one. Because we love what we do! Every member of the team is passionate about digital. But we are also good people. We all want to make a difference and as such are as passionate about helping charities, local causes and initiatives. We sponsored two Oor Wullie Bucket Trail statues as well as designing/developing the website and managing social media throughout the course of the campaign for the Archie Foundation for free! Every year we support Circus Star and fund raise for the Hot Chocolate Trust and the Unicorn Preservation Society. We sponsor DHSFP Cricket Club and Dundee Rugby and are corporate sponsors of the V&A Dundee and Oktoberfest at Discovery Point. We have also recently agreed to further help the Archie Foundation with their digital initiatives and work on the Capital City of Culture bid. Phew!